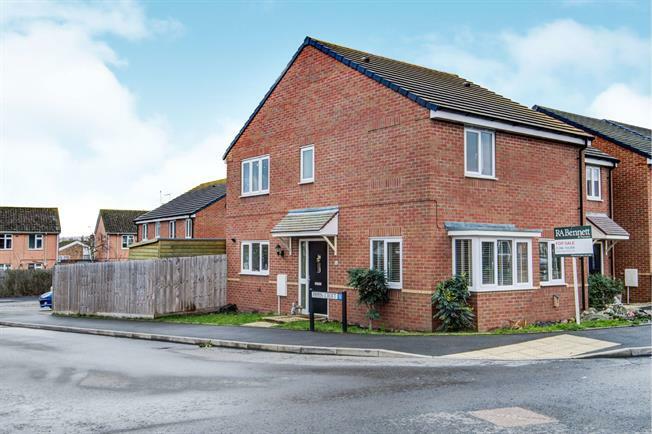 3 Bedroom Semi Detached House For Sale in Evesham for Guide Price £214,950. This contemporary three bedroom home comprises; reception hallway with stairs rising to the first floor landing, access into the W.C, kitchen/diner & lounge. Lounge has a fireplace focal point & bay window. The kitchen/diner has a range of base & wall units, integrated appliances, dishwasher, washing machine, fridge freezer & oven & hob. Patio doors lead out to the rear garden. To the first floor, the landing gives access to three bedrooms, the attic & the bathroom. The bathroom is a contemporary suite with a shower over the bath. The master bedroom has fitted wardrobes & an en-suite with a double shower tray. Externally, there is a double width drive for two cars & gardens which area laid to lawn with side access.